We like to listen to Christmas music from around September to December so we really like to have a variety of artists and CDs to change around and add variety. One of the favorites in our Christmas music mix is the new A Sammy Klaus Christmas from Sammy Kershaw! 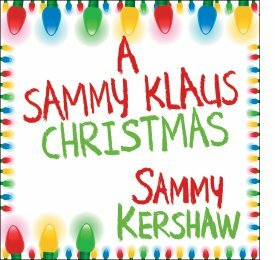 On October 22, multi-platinum selling country music star Sammy Kershaw offered up a collection of fun holiday favorites with the release of A Sammy Klaus Christmas. The album also includes two versions of the classic Christmas tale, "Twas the Night Before Christmas." Kershaw reads the traditional story on one track and flavors a second version with his rich Cajun heritage. "I wanted to make a fun sing-along Christmas album that people of all generations would be happy to listen to and children would enjoy," notes Kershaw. "I also wanted the songs to take older people back to the memories and sounds of Christmas when we were kids and I believe the guys and I were able to pull that off with this collection of great songs!" Since his debut on the music scene in the early ‘90s, Sammy Kershaw has remained one of the most consistent power hitters in country music with a chain of major hit records and sell out tours. His focus is reclaiming the roots of country music and recapturing the spirit that made it great. Often referred to as the heir apparent to the legendary George Jones, Kershaw's platinum albums have included such classics as “She Don’t Know She’s Beautiful,” “I Can’t Reach Her Anymore,” “National Working Woman’s Holiday” and “Love of My Life.” Kershaw is a multi-platinum selling artist whose history includes six gold and five platinum albums that have scanned in excess of five million records. 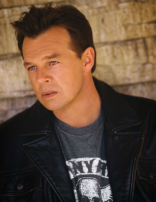 For additional information on Sammy Kershaw, visit www.sammykershaw.com.